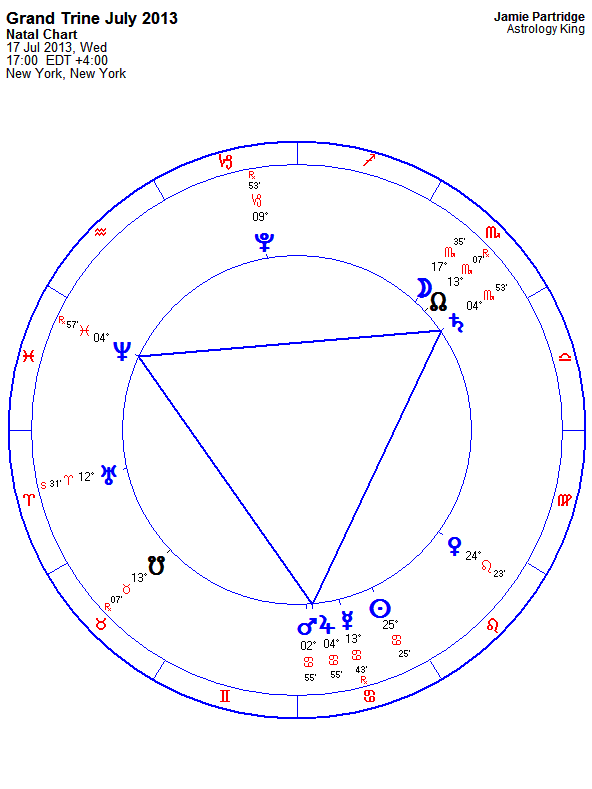 A grand trine is a neat looking equilateral triangle formed by three planets. 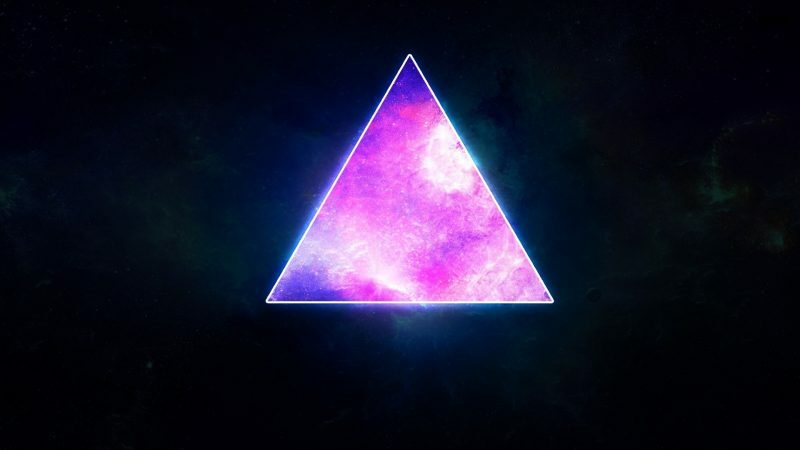 The fortunate trine aspects create a balanced and harmonious blend of the planetary energies, making the grand trine the most desired of astrological configurations. A grand trine aspect pattern holds great natural talent, creative potential and good fortune. However, the ease and comfort of the trine aspects can cause lack of motivation. Without external motivation from challenging aspects, it can be difficult to outwardly manifest the full potential held within the grand trine. The trio of planets can be so content with their comfortable arrangement, that helping you realize your potential sounds a bit too much like hard work. I have grand water trines with neptune/sun/chiron and neptune/mercury/chiron, natally, mustnt be utilising them right, lol! I have been watching this, wondering “what the hey”. Vision into reality? Some philosophical maniffestation of a dream? It looks like it went Partile July 17, at 4 degrees, with Mars just 2 degrees off Jupiter. Does anyone know what the ‘Castle’ aspect means. I did an composite and one turned up. Kind of freaked me out. That’s probably the most complex pattern to work out. I have not had to do that fortunately. I suppose you would read up separately on a grand trine then mystic rectangle. Would love for you to write about the kite formation. Will do. I have to tidy up the ones I already have and make a nice looking category of aspect patterns.